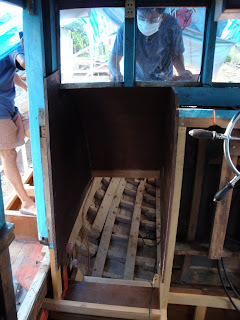 Looking down from the wheelhouse into the cabin. This way if driving the boat at night and the kids are sleeping downstairs I'll be able to stick my head down and check on them easily. Internal work will come after the external work is finished so there is still a lot to be done......step by step.